One out of every ten Holocaust victims was a citizen of Hungary. Between 1941 and 1945, more than half a million people, that is, two thirds of the Jewish population of the wartime territory of Hungary were murdered by the Nazis and their Hungarian collaborators. The deportation from the Hungarian provinces of close to 440,000 people over a period of only 56 days in 1944 was the deadliest extermination campaign in the history of the Holocaust. It was the Ungarnaktion that made Auschwitz-Birkenau the deadliest concentration camp and the universally known symbol of the Holocaust. This mass murder took place during the Nazi occupation of Hungary. However, large-scale collaboration and initiative-taking on the part of the Hungarian government and the state apparatus were essential factors in accomplishing the murderous plans of the Nazis. Traditions of popular antisemitism and domestic anti-Jewish policies also played a key role in the tragedy. Hungarian public administration, law enforcement agencies, and the army, as well as various groups of civilians, had been actively involved in anti-Jewish legislation and persecution before and during WWII. The discriminative policies of the Hungarian governments during the interwar period laid the groundwork for the total disenfranchisement and exclusion of those among its citizens who had been labelled Jewish. As the Soviet-style dictatorship took over Hungary in 1949, the memory of the Holocaust and all the social problems pertaining to it were pushed into oblivion. Memorial events were only allowed within the sphere of Jewish communities, and Holocaust literature was basically silenced. During the more moderate Kádár era, from the 1960s on, this situation gradually changed. Holocaust-related research and education was permitted, albeit selectively and under ideological control. Since the democratic transition in 1989, consecutive Hungarian governments have been committed to Holocaust remembrance, education, and research. The Parliament passed acts on compensation and restitution for Holocaust victims and political persecutees in 1992. In 1994, political leaders officially apologized for Hungarian complicity in the Holocaust. Since then, several political declarations and speeches have condemned the responsibility of the Hungarian state and of society in the genocide. Hungary was among the countries to join the Stockholm Declaration in 2000 and two years later it became a full Member Country of the Task Force for International Cooperation on Holocaust Education, Remembrance and Research. The following years we witnessed milestone commemorative events, which included launching a National Holocaust Memorial Day (2000), the opening of the new permanent Hungarian exhibition at the Auschwitz Memorial and the inauguration of the Holocaust Memorial Center in Budapest (both 2004). Teaching about the Holocaust is mandated by the National Core Curriculum in Hungary. The subject is taught in details in 8th grade elementary school and 12th grade secondary school as part of the History curriculum. Topics related to the subject, for example stereotyping and prejudices, are parts of the newly introduced Ethics curriculum. Based on a Parliamentary Decision in 2000, since 2001 the Holocaust Memorial Day on April 16 is one of the national memorial days in Hungary. Many schools and educators choose to organise educational activities and projects around the Memorial Day. 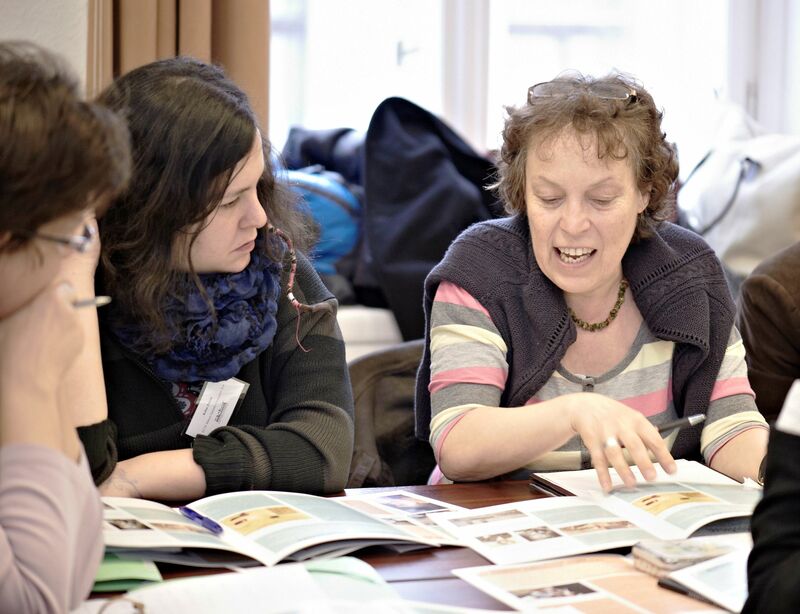 Holocaust education, however, has been a new field in educational practices in Hungary and it is only in recent years that educators in Hungary have started to be provided with sufficient training and locally relevant educational materials. In this respect we greatly build on international expertise and experience. Besides regular classroom education, there are several out-of-school activities for students including competitions, research projects and study tours. Several NGOs have been established in order to strengthen Jewish cultural life and identity, including organizations dedicated to Holocaust remembrance and education and to combating antisemitism and intolerance. These organizations operate independently or in partnership with international organizations, primarily with the Anne Frank House Amsterdam, USC Shoah Foundation, US Holocaust Memorial Museum, Yad Vashem and the Mémoire de la Shoah. Local organizations include Centropa Hungary, USC Shoah Foundation Hungary, Zachor Foundation for Social Remembrance, Haver Foundation, Kurt Lewin Foundation, Carl Lutz Foundation, Raoul Wallenberg Association, and Tom Lantos Institute. NGOs working in the field reach out to schools and educators seeking for programs and materials and pedagogical assistance, professional development programs and materials are offered. Attempts are being made to include Holocaust education in a deeper way into both pre-service and in-service teacher training as well. Several universities offer holocaust-related courses all over the country. At Eötvös Loránd University in Budapest, the largest university in Hungary, a special research group for “Holocaust and human rights education” has been established to promote Holocaust education and research. The central institution responsible for keeping the memory of the Holocaust in Hungary alive is the Holocaust Memorial Center (HMC). Founded in 2012, this is the only government-financed Hungarian institution exclusively focusing on Holocaust education, remembrance and research. HMC is a memorial site dedicated to about half a million victims and to the 1441 Jewish communities which perished in the Holocaust in Hungary between 1941 and 1944. The institute holds a permanent exhibition entitled From Deprivation of Rights to Genocide (2006) and a historical collection containing objects, photos and archival documents pertaining to the Holocaust. Furthermore, HMC is hosting temporary exhibitions and programs around the Holocaust Memorial Day and other memorial days in Hungary (see list below). Commemoration events and programs are also organized by other institutions, including the House of Terror, as well as by local authorities, academic institutions and various civil organizations. For memorial years (Wallenberg Memorial Year, 2012; Holocaust Memorial Year, 2014) the government sets up a special committee responsible for the commemoration events. March of the Living Hungary was initiated in 2002 and since then every year on April 16 every year thousands commemorate the victims, with the participation of high-ranking politicians from both sides of the moderate political spectrum. Besides remembering the Holocaust, the destruction of Jewish communities in Hungary, the government of Hungary is also committed to keep the memory of thousands of other victims of the Nazi era, including political persecutees, the members of various small Christian denominations and ethnic minorities, including the Roma. Liberation of the large Pest ghetto – January 18; International Holocaust Remembrance Day – January 27; National Holocaust Memorial Day – April 16; International Roma Holocaust Remembrance Day – August 2; Raoul Wallenberg’s Birthday – August 4; Memorial Day of Miklós Radnóti – November 9; Memorial Day of Forced Labourers – December 1; Details about commemoration events can be found on the government portal. There are several institutions in Hungary, which have schools or departments where the History of the Holocaust in Hungary and several related subjects are taught. These include the Holocaust Memorial Center, the Institute of History at the Hungarian Academy of Sciences and various universities. 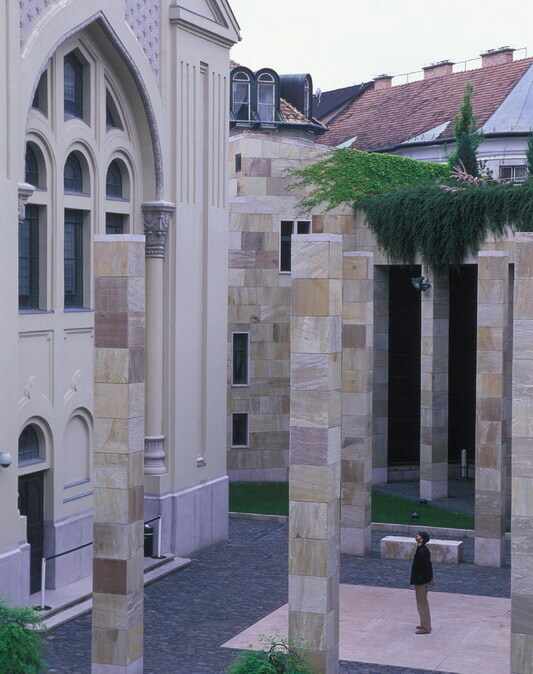 At the Eötvös Loránd University in Budapest specialized research groups and programs devoted to Holocaust and genocide studies have been established and the universities in the countryside (Szeged, Debrecen, Miskolc and Pécs) also regularly offer courses related to the Holocaust. Although a large number of original publications appeared during the Soviet era as well, the democratic transition at the end of the eighties gave a new impetus to Holocaust scholarship. 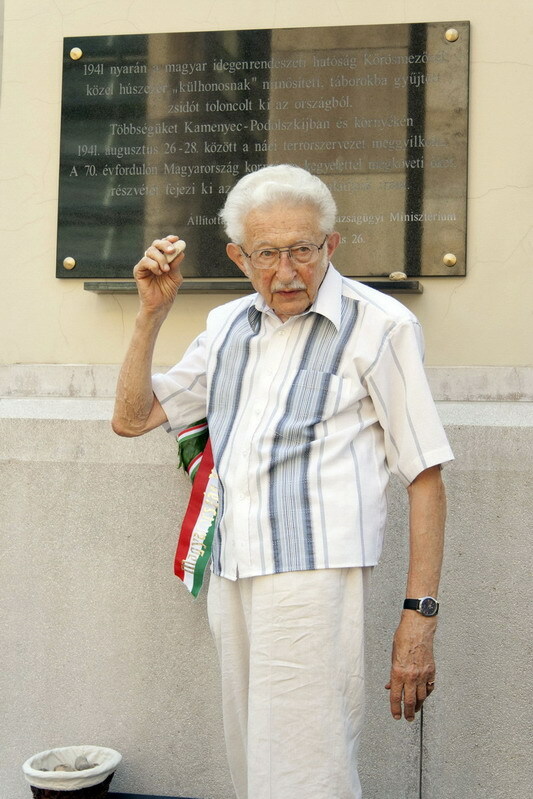 A new generation of researchers have emerged, who follow the example of Professor Randolph L. Braham and other early students of the Holocaust in Hungary. These scholars have introduced or created new methods of historiography and maintain daily contacts with the major international centres of Holocaust research, including the Yad Vashem, the United States Holocaust Memorial Museum, and actively participate at the works of these institutions, narrowing the gap between the Holocaust-related historiography of the West and Hungary. In the last two decades, Jewish history and culture have become popular and frequent topics of research and art, as well as that of public discourse, as witnessed by an increasing number of scholarly publications, memoirs and literary works. 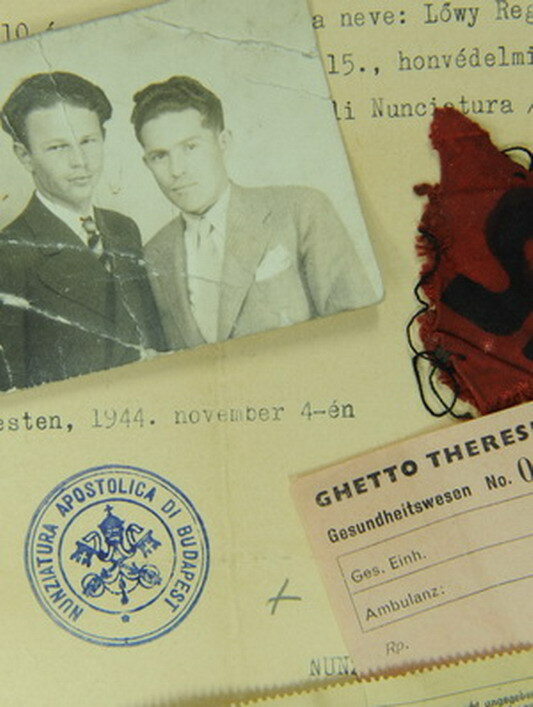 All the archives and other public collections holding relevant Holocaust-related material have been opened and made available for researchers.